Adedoyin Ogunbona, a second year student in the Associate Degree in Nursing Program, is one of four undergraduates to receive a 2018 scholarship from the Northern Connecticut Black Nurses Association (NCBNA). The NCBNA held its 21st annual awards luncheon on September 29th at Hartford’s Chowder Pot restaurant recognizing scholarship, collaborative spirit and community service award recipients. Dr. Dawn Bunting (left), Capital’s Director for Nursing, congratulates Capital Nursing Major Adedoyin Ogunbona on her scholarship award at NCBNA luncheon. At right is Capital Alumna and NCNBA Member Vicie Brooks of Hartford Hospital. Adedoyin Ogunbona’s “passion for education and caring for the sick was formed in her native home of Nigeria,” said NCBNA Member Marlene Harris of Hartford Hospital in recognizing recipients. “Her professors describe her as consistently engaged and continuously seeking new learning opportunities.” Ms. Ogunbona’s goal is to eventually return to Nigeria to bring quality health care services and education to her native country. Also receiving $1,000 scholarships were Ciera Carter, a senior nursing student at the University of Saint Joseph,; Dazjia Green, a junior at the University of Connecticut, and; Stacy-Ann Wallen, a student ambassador and nursing major at the University of Connecticut. Receiving a Community Service Award were Hartford’s Henrietta Beckman and Rev. Henry Brown of Mothers United Against Violence (MUAV), a group founded in 2003 to support victims’ families and to organize and promote anti-violence activities. Susanne P. Yeakel, a Nurse Director of Surgical Services at Hartford Hospital. In 2018-2019, Association members are mentoring five Capital CC nursing majors and 11 other students from other colleges and universities. Mentors include Capital Alumna Vicie Brooks, a Community Liaison Nurse at Hartford Hospital and NCBNA President Florence Johnson, a consulting manager at Qualidigm, a national health care consulting organization. 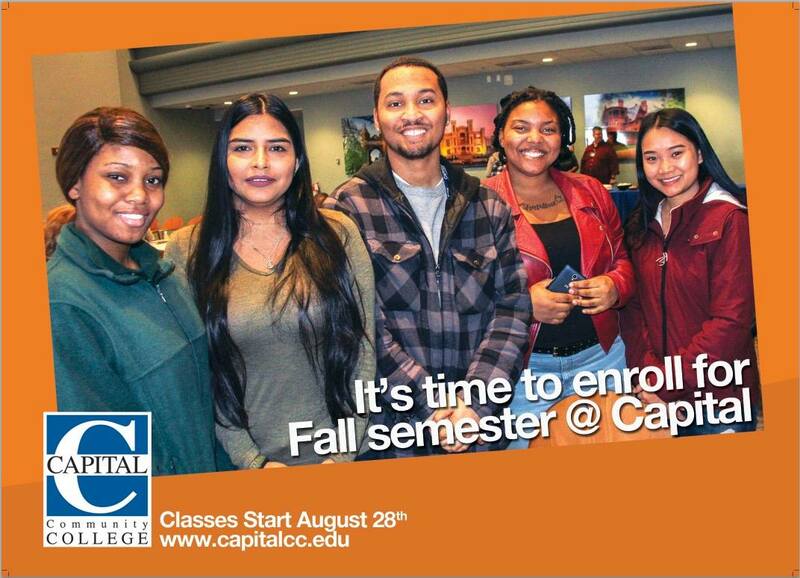 The public is invited to Capital Community College for an Open House on Wednesday August 8th at the 950 Main Street campus from 9 to 11 a.m. and 5 to 7 p.m. Faculty and staff will share information about the college’s affordable associate degree and certificate programs and transfer opportunities. Financial aid and registration information will also be available at the College’s Welcome Center. Enrollment Saturdays are also scheduled ahead of the new academic year from 9 a.m. to 1 p.m. on August 4th, 18th and 25th. Fall classes begin on Tuesday, August 28th. Capital Community College, located in the center of Hartford in the historic G. Fox building, is a public, open-door, educational institution offering 60 programs of study. Students can take advantage of a wealth of cultural and employment opportunities, all within walking distance of the College. History, the arts, government and business, are integrated into the educational experience, with classes and internships that make the most of being in the center of the city. 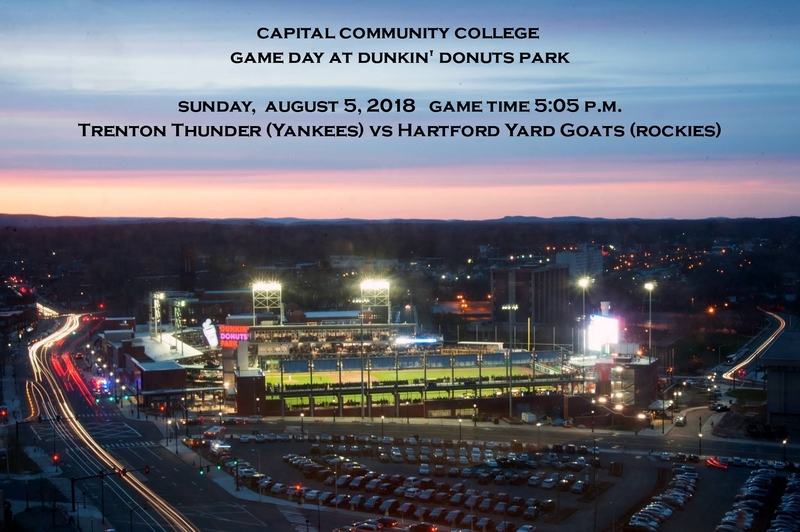 A gift to the Capital Community College Foundation will provide a full-time scholarship for two years ($5,000 per year) to a graduate of Hartford Public High School for the upcoming academic year. The Mimi and Brendan Lynch Scholarship is for a Hartford resident graduating from Hartford Public High School who is involved in community service. Colleagues, friends, students and alumni will honor President Wilfredo Nieves with a Farewell Retirement Dinner to be held Thursday, May 17th, from 5:00 to 8 p.m. at the Gershon Fox Ballroom, 960 Main Street, next door to the campus. 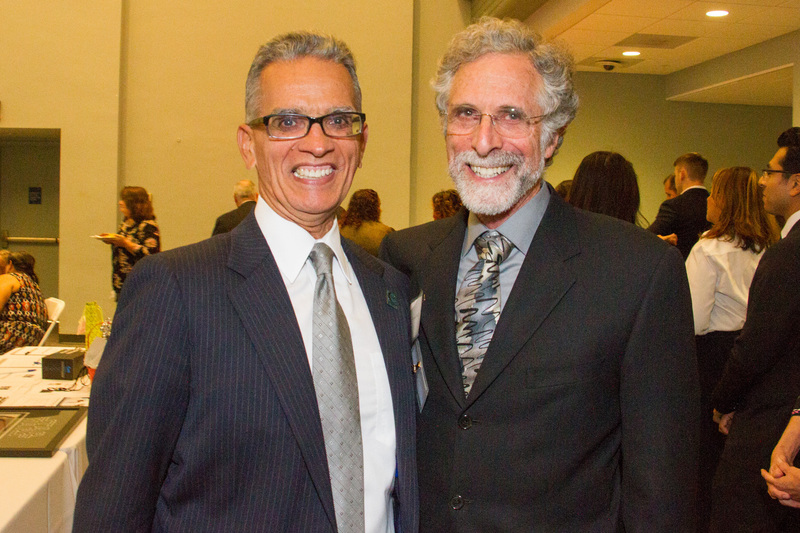 President Nieves with Ira Rubenzahl, Capital’s 3rd President and President Emeritus of Springfield Technical Community College, at the 2017 Changing Lives Gala. Dr. Nieves, Capital Community College’s 5th President, is retiring in June capping 18 years as a community college president in Connecticut, eight of them at Capital. Dr. Nieves came to Capital in July 2010 after serving as President of Middlesex Community College in Middletown. The Chair of the Hartford Consortium for Higher Education, President Nieves has been active in the community and region with service on the boards National Coalition of Advocates for Students, the Middlesex United Way, Capital Workforce Partners, the Community Renewal Team, the Hartford Stage, Leadership Greater Hartford, Latino Community Services, the Village for Family and Children and the Bradley Home. He serves as a Director for Liberty Bank and its Foundation, a corporator for Hartford Hospital and also the Middlesex Health System, Inc. and he is a Past President of the Middletown Rotary Club. He was recognized by the Middlesex United Way and awarded its highest and most prestigious volunteer award, the Community Service Award. In higher education, Nieves has been a Commissioner for the New England Association of Schools and Colleges and has served as an evaluator for it as well as for the Commission on Higher Education for the Middle States Association. He has been a Director on the Board of the American Association of Community Colleges and has chaired the Commission on Diversity, Inclusion and Equity, the Committee on Directors and Membership Services and the Committee on Program Initiatives and Workforce Training. President Nieves received his doctorate of education in Counseling Psychology from Rutgers the State University of New Jersey. He holds a Master of Arts degree in Guidance and Master of Education degree in Applied Human Development from Columbia University. He received his Bachelor of Arts degree in Mathematics from Keane University of New Jersey. 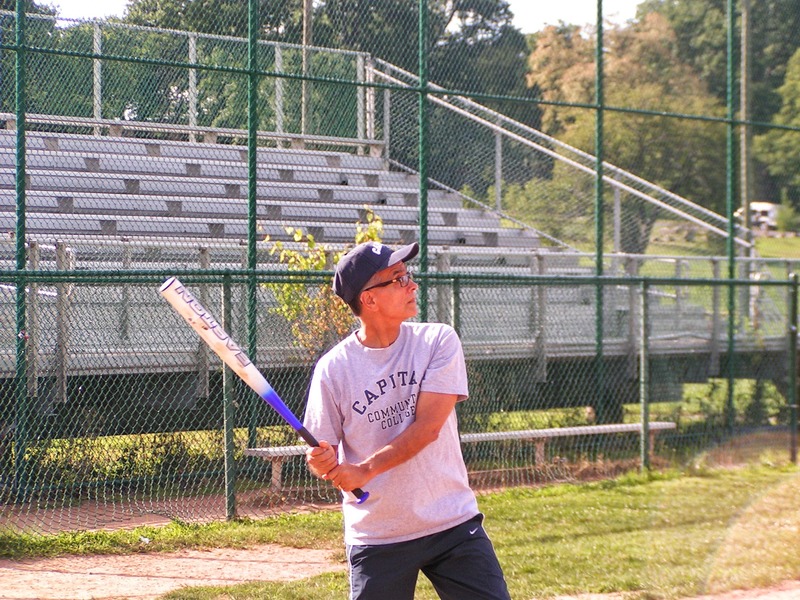 Wilfredo is married to Iris Rivas-Nieves and has two sons, Adrian who also resides in Middletown and Davian who is a fifth grader at Farm Hill Elementary School. Reservations ($50 per person) to President Nieves’ Farewell Dinner are available by e-mailing Amy Lemire: alemire@capitalcc.edu. Please designate the reservation “in honor of Wilfredo Nieves.” Tax deductible contributions are also welcome in support of scholarship funds in honor of President Nieves.